When I was really young, one of my friends asked me once what happened to my dad’s hands. I honestly didn’t know what she was talking about. My dad’s hands are exactly what a dad’s hands look like, aren’t they? So I looked at her dad’s hands and realized that her father’s hands didn’t look right, not what I thought a dad’s hands look like anyway. As I grew older, I realized that perhaps all of the other daddies do have common traits among their hands that do make my daddy’s stand out a bit. Instead of thinking that his were normal and all of the other daddies were strange, I realized that my dad was unique. When I finally asked my dad what had happened to his hands, he simply said they were burnt in boiling water when he was a baby and the doctor’s tried to fix them the best they could. I don’t know if it was my brother’s stories or my own imagination that filled in the blanks in that story as to how that happened, but I lived the next 25 years under an incorrect assumption of just how such an event came to pass. It’s funny how I never thought to clarify or ask questions in further detail. It just never came up I guess. I did remember though, that when his mom died 10 years ago—that the part about her death that upset him the most was realizing that his sweet mother lived her whole life with the burden of his hands on her shoulders and her heart. She never forgave herself for allowing something like that to happen to her boy and she was VERY protective of him as a result. She had to see him go through a decade of surgeries, watch him struggle to do simple things, and also hear the taunts of cruel children. It made my dad really choked up to even talk about his poor sweet mom and the emotional burden she carried. He’s made peace with his hands long long ago, but it broke his heart that his mother wasn’t ever able to do the same. I have been wanting to do a photoshoot of his hands ever since I got into photography, but I never remembered when I was around him. He was up here on vacation a few weeks ago and I finally took the opportunity to take some quick pics in the fleeting light in my front room. It’s the first time his hands have been documented in detail, and I am SO glad that I took them! After I proofed and edited the pics, I called my dad to see if he would mind if I posted them online. He teasingly said that I could, as long as I didn’t make fun of them. He’s always making jokes like that. I decided that I might as well clarify just what happened to his hands if I was going to do a post about them. Man, was my original story wrong! I’m so glad I asked, lol. So here’s the real scoop (as best I understood it), and I’m sorry to anyone to whom I have relayed wrong information previously. I was going off of my childhood interpretation apparently. My dad was born in 1944 and at that time, hot water was heated in a basin directly under the sink. If you turned on only the left handle without turning on the right handle, water could be scalding hot within seconds, depending on how long the water had been heating for. His mom was outside talking with their neighbor for a short period of time. When she came back in, she noticed that the bathroom was abnormally steamy and that a stool was knocked over in there. She had two boys at the time, a nearly 4 year old and an 18 month old and they were prone to making messes so she didn’t think too much of the bathroom. It wasn’t until 20 minutes later that she found her youngest son, Larry, in a corner of the house whimpering to himself. His arms up to his elbows were nearly white. She didn’t quite know what to make of it and waited to see if it would get better. Maybe an hour after that, his hands had turned grey and she knew that something horrible had happened. He was rushed to the hospital and it was determined that he had severely burned his hands in boiling water; his right hand being more affected than his left. Since no one was around, nothing more is known than that. In the next 8 years, he had probably 20 surgeries to try to reconstruct his hands. Multiple attempts were made to graft skin from his stomach or legs onto his hands, but most of those attempts failed. After waiting weeks in bandages, they usually found black, rejected skin in the bandages from the unsuccessful graft. They had to try again until they finally created some functional fingers and palms. He is missing the last segment of his fingers on his right hand, won't ever be able to straighten his fingers on his left hand further than a 90 degree angle, and his wedding ring is the size of a key chain ring due to the excessive amounts of scar tissue and skin grafts... but he did manage to walk away with functional hands. He says he distinctly remembers endless days in hospitals with one or both hands bandaged, and that he usually already knew if the operation had worked or not due to the wreak of decay that accompanied failed operations. He said that the worst part about it wasn’t the pain he experienced in his hands, but in his stomach, sides, or legs due to large areas of skin being removed to be used for skin grafts. He still carries pretty intense scars on his abdomen and legs to this day. When I asked him when I was little what had happened to his stomach, he told me he was attacked by a shark. Due to the severity of the scarring, I had no doubt that that was exactly what did happen! It wasn’t until I was a bit older that I wizened up as I saw him shaving his hands. Why would my daddy have to shave his hands? Because they’re covered in skin that was originally meant to be on his legs or stomach. Frequently only having one or no functioning hands available to him, he had to be very creative with how to do every day things when he was young. He used his feet, elbows, neck, and mouth to do a lot of things that would normally be pretty easy. By the time he was 9 or so though, the operations were done and he has more or less been able to live a normal life. There are certain things his palm won’t stretch far enough to grasp well, and precision skills such as typing can be harder for him to learn than it would be for other people… but he has more or less managed to live as any normal person does; with exception of getting curious looks whenever he gives a stranger a handshake. He was a mechanic for years, a skilled and dedicated mountain climber for decades, a gun enthusiast for life, and has been a loving father for 33 years. He's always had a very impressively positive outlook on his hands. He's not embarrassed of them, not that I was ever able to tell. That always impressed me about him and helped me know that I could always be brave and proud of who I am, despite the things about myself I didn't like. He'd make jokes about his hands frequently and never seemed to try to hide them. He said he definitely wasn't like that when he was growing up, but after his twenties kicked in he realized that they were part of him and nothing to be ashamed of. If a small child asked him what happened to his hands, he'd frequently make up crazy stories about how he used to bite his nails and forgot to stop, or how a reindeer ate them (this was usually when he was dressed up as Santa for Christmas). I think he liked to see the kids freak out, lol. He was even easy going enough to let me assign an animal to each finger on his right hand and draw faces on them. His index finger is shaped like a rat, so it got mousey whiskers and ears, and his thumb has snake eyes where his nail stubs are, so I'd draw a snake mouth and tongue across the front. The other fingers all became manatees, which was surprisingly fitting for their shape and he always got a kick out of it. He'd even walk around for the rest of the day with animal faces on his fingers, which I greatly appreciated. Also, his hands are uncommonly strong. 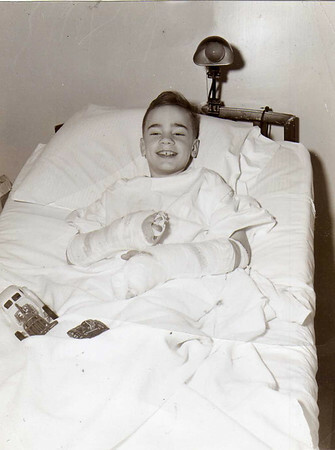 The combination of being made nearly entirely of scars and callouses and the fact that he is lacking much of his nerve and pain sensations has made for uniquely resilient hands. I remember a log falling over in our campfire once and he simply leaned in, picked it up with his bare hand, and securely placed it back in the burning section of the fire. I sat in shock, SURE that my dad was a super hero. If any other person attempted that same feat, they would have been burnt to a crisp! My dad was always a very involved father. He had a temper, make no mistake about that, but if you played by the rules then he was barrels of fun. He read us stories, made up epic tales, sang goofy songs, wrestled with us, showed us how to throw a punch without breaking our thumbs, let us make homemade bullets in his press, embarrassed us to no end when he cheered for us at soccer games, and impressed us daily with his hulk-like strength. He may be incredibly intimidating at times, but he really is the biggest softy you will ever meet! That being said, here are the pics I took. They aren’t all amazing shots technically, but they capture something dear to my heart. I honestly can’t see how his hands must appear to everyone else. To me, they are simply symbols of ingenuity, perseverance, and love. His hands aren’t lost though! Nope nope nope. Due to the large bone structure beneath the scar tissue, we always assumed that his hands would have been HUGE had he not burnt them, and now that has been proven. At least 3 of his grandsons have inherited his impressive mits. It’s so fun to see our boys sporting massive paws and getting to see what would have been had fate not altered my dad’s life. I remember those hands fondly. He provided father's blessings for me with those hands. You're right, he is a big softy. I remember when you turned each finger into some type of animal with a pen. If I remember correctly, one was a manatee? That last picture and paragraph is especially touching. What a wonderful tribute to capture. You'll treasure these photos forever. Please tell him I love him. What a beautiful post Lori. I love it. Thank you for sharing. What a beautifully written post, Lori. Thank you for sharing my feelings as well. Very touching, Lori. You speak for all of us. Thanks for sharing. Your dad IS a superhero. This was so great to read. I loved the stories he made up about his hands. It reminds me of the stories Josh tells people about his birthmark (how he told a lady in Jamaica that he got hit by a train while trying to save a child and the lady started crying). Your dad sounds so amazing. And you look so much like him!!! Beautiful pictures. What a truly inspiration post. 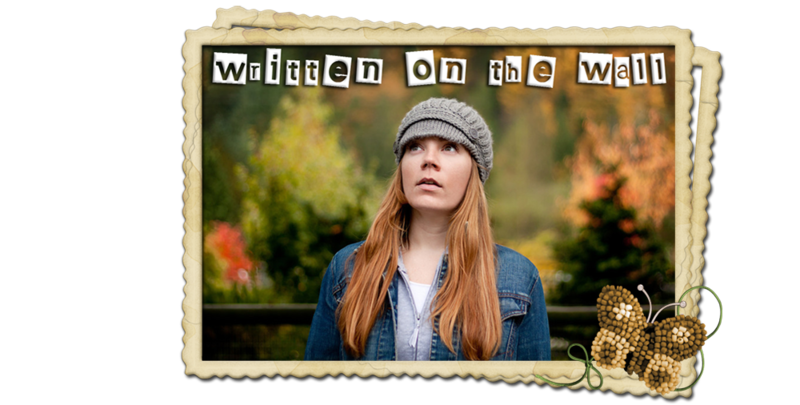 I stumbled across your blog from my friend Aliisa Guinn. Your Dad has a great story of trials and perserverence. Thanks! yes, that was nice. Well written, I can tell it came right from a well cared-for heart!